28.73 gms. Fr-2444; KM-14; Cappe-198; Schnee-638. <strong>EXTREMELY RARE</strong>. Struck to commemorate the centennial of the Reformation. King Henry I standing holding globus cruciger and sword, Quedlinburg in background; Reverse: Helmeted Shield with the arms of Saxony. The abbey of Quedlinburg was founded by King Henry I and subsequently where he was buried in 936. 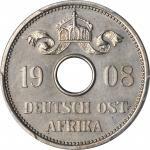 The legend on these issues erroneously name him as "emperor", as he was only King of the Germans. His son and successor Otto I(the Great) would later become Emperor in 962. Nearly 650 years later on 18 April 1610 Dorothea was elected abbess of Quedlinburg (the female equivalent of Abbot or head of the monastery). 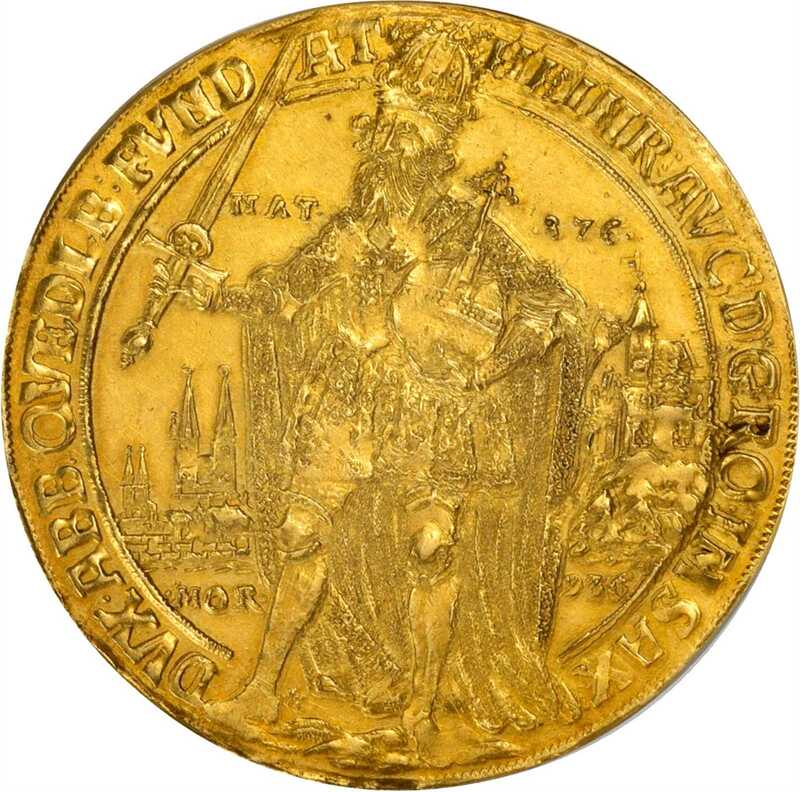 During her relatively short and quiet term in office the city of Quedlinburg was granted some rights which improved income for teachers and the clergy and in 1615 began striking coins. In 1617 during the Jubilee of the Reformation she became seriously ill while visiting her brothers in Dresden and suddenly died at the age of 26 and was buried in Freiberg. Well struck with good definition of the intricate details. Nicer than normally encountered with light attractive tone amongst the devices. NGC EF-45. Ex: Classical Numismatic Group Triton X January 9, 2007, lot# 1036<p>Ex: Renaissance Auctions December 6, 2000, lot# 189.